I’ve been hearing about this dish – how good it is and how simple it is to make. I finally made it and it’s tasty! You can top it over zoodles for a low-carb version or any other pasta. Add chicken or shrimp for more protein. Put all the ingredients on top of your raw zoodles or cooked pasta. Heat for a minute in the microwave. Sprinkle another 1 tsp of Grated Parmesan Cheese over your dish. 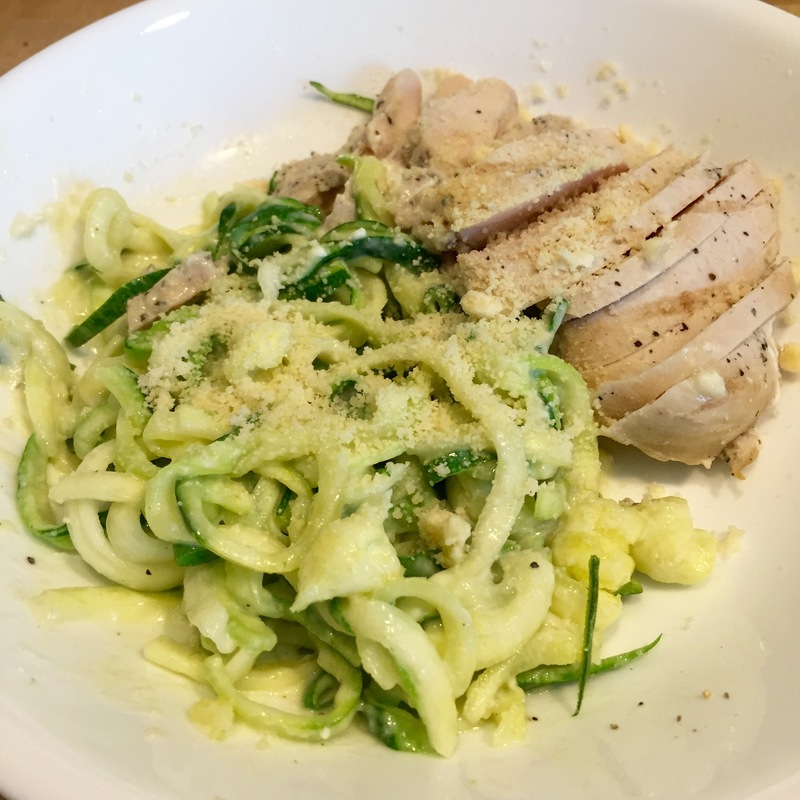 This entry was posted in Cheese, Dinner, Gluten-Free, Low Carb, Lunch, Pasta, Recipe, Sauce, Swiss and tagged alfredo sauce, Laughing Cow Cheese, low-carb, noodes, pasta, swiss cheese, zoodles by mamaseacat. Bookmark the permalink.